Anderson Design Studio was formed in 1988 with a strong commitment to design excellence that holds true today. Their expertise in providing complete interior design services with a special attention to detail is unsurpassed. Kathy Anderson, IIDA, owner and principal designer in the company, has over twenty years experience in the commercial and residential interior design field. During this time, Kathy has developed a stellar reputation for delivering the highest quality, professional service and consistently meeting the client’s needs in regards to style, budget, time, and functionality. Her understanding of the importance of working successfully with the project team, including client, owner, architect, contractor, and subcontractors, continues to produce outstanding results that everyone can take pride in. The interior design services provided varies per project. They include, but are not limited to, programming, space planning, finish selection, construction documents, and construction administration. Furniture, window treatments, art, and accessories are all offered to complete the interior environment. Kitchen and Bath showroom, design and sales. Kitchens range from $3,500 to $100,000. Consistently voted #1 company in our metro area. Also, provide custom built-ins and closets. California Closets of Tennessee serves clients with a team of experts in design and installation. For more than 20 years now, we’ve been creating custom closets and whole-home storage solutions for clients throughout Tennessee. We don’t just build closets. We create custom storage solutions. Whether it's a garage, pantry, laundry room, library, playroom, man cave, home office or anywhere you store belongings that are important to you, we can make that part of your house look and function better. Full Service residential and light commercial interior design - plus all the home furnishings products: wallpaper, draperies, window shades, shutters, blinds, closet systems, fine furniture, custom bedding, lighting, accessories, art, permanent botanicals - and the best part is that everything is selected just for you in your home or office - one stop shopping at its best. 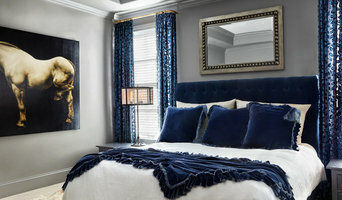 Nashville based interior design studio, design by Christina Perry, offers à la carte interior design. We provide convenient professional design services personalized to fit the needs of any project including custom work. Our goal is to build genuine relationships through quality service and design. Good design creates a standard of life. Function is just as important as the appearance. We commit to every project by getting to know the individual so our work reflects their style and improves the quality of the space. 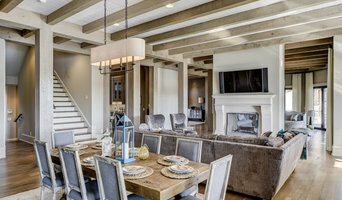 Nashville Full Service Interior Designer Best of Houzz 7x! You want your home to be your haven … a sanctuary… a place that reflects your spirit …your individual style. It’s a simple idea, really. But breathing life into that vision is not easy. That’s where Connie Long Interiors can help. Whether you are contemplating a simple room makeover or an entire home remodel, Connie will take her time to get to know you and your needs and to understand your vision of your special space. She will work with you to create a plan that is uniquely your own. Connie Long is an award winning residential and commercial interior designer who has created original, leading edge design for more than 30 years. 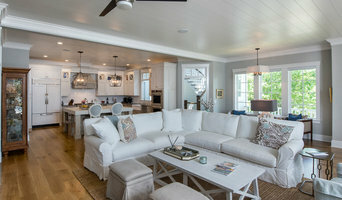 Specializing in older homes, with an emphasis on remodeling and renovations including kitchens and baths, she develops unique solutions for every interior design challenge. From concept to completion, Connie can help you transform your space to enhance the way you live and work now. Connie says. “I try to incorporate my clients’ most treasured possessions into each space so there is personal meaning in every room. As a result, my designs look and feel like a lifetime collection and not a furniture store display.” Connie’s clients trust her to be innovative and efficient with an attention to detail that makes every space she designs a true reflection of the people who live there. Her designs are classic but always fresh and inviting. Connie Long Interiors provides the highest quality results - from concept to completion, her quality, dedication, timeliness, customer service and attention to detail add value to every phase of the design process. If you would like to learn more about how Connie Long Interiors can help you create the home you love, call 615-957-4707 to discuss your needs. 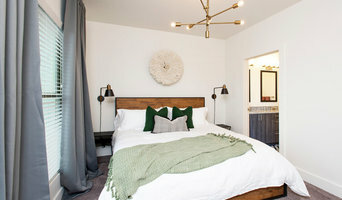 ASHLEY ROHE HOME is a home decor and lifestyle boutique offering gifts and home furnishings for the casually elegant clientele of Nashville, TN. We offer carefully curated art and home decor products, with an emphasis on sourcing products from local and regional small businesses. At ASHLEY ROHE HOME, you will find a fresh selection of furniture, made-to-order draperies and pillows in desgner fabrics. Unique gifts for all occasions and quality home accessories reflect the style of interior designer, Sarah Ashley Rohe. Let us help you find the perfect gift, refresh a space or design your entire home. The Closet Co. was established in 1984 by the current owner Frank Floyd, a pioneer in the field of home organization. Frank, a native Nashvillian, attended Montgomery Bell Academy and Vanderbilt University where he played football for the Commodores during the mid 70's. After receiving his MBA from UT-Nashville, he held several marketing and finance jobs prior to starting the Closet Co. Using his hobby of furniture making and his extensive marketing background, a formula for success was born. Tennessee's first Closet Co. was all about better designs, better service, and better prices. Key to the strategy was to remain an independent manufacturing entity, not tied to any pre-set franchise philosophy. As a result of this decision, the Closet Co. is able to deliver a wider variety of products, designed for more applications, delivered on time and at lower prices. Proof to the success of this formula is that the majority of today's Closet Co. work is referrals from builders, architects, interior designers, as well as 35,000 previous customers. In 2018, Adam Floyd, Frank's son purchased the Closet Company. Adam is a graduate of Montgomery Bell Academy and Belmont University. He then earned his JD/MBA at the University of Arkansas. After school, Adam worked in various roles In commercial real estate. Adam grew up at the Closet Company, and intends to keep the business running on the same principals that have worked for the past 35 years: A better design and product at a better price. Husband and wife team Rick and Jennefer Guthrie are the faces behind the young, though much sought after design firm Interior Anthology. Founded in 2015 in the heart of Nashville, TN, multidisciplinary firm Interior Anthology offers a warm, intelligent and carefully curated aesthetic to its wonderfully varied list of clients. The Guthrie’s deep appreciation for the visual arts is made evident in the work they collectively produce. Interior Designer Jennefer approaches each project with a highly receptive focus on the client, a great sense of humor and the discernment that comes with years immersed in a demanding sphere of fine artists and accomplished designers. Her collaborative approach and profound ability to tailor her work to the individual has garnered her attention in one of the fastest growing cities in the country. Her circuitous road through design began with an early education in ceramics, which contributed greatly to her personal aesthetic. Seamlessly combining function and beauty while maintaining a devotion to quality and thoughtful craftsmanship, she translates this value system into spaces that are lovely, soulful, and conducive to living a busy modern life. Rick lends years of experience, a multi-faceted skill set and an aesthete’s eye to the IA brand, offering hands on assistance in the development of his client’s personal art collections. With a background in fine art framing and presentation, Rick has since expanded his repertoire and works as a contractor in all aspects of art curating. A true renaissance man, Rick offers his services in everything from acquisition, installation and transportation of fine art, to sourcing artists and facilitating collaborations for client commissions. Rick seeks to offer a refined yet approachable service in the world of fine art, believing that a true appreciation of beauty is a universal experience. Interior design, staging and selections for Nashville's historic neighborhoods.